HowToRepairGuide.com: 1999 Dodge Ram: Procedure to Replace Dash Indicator Lights? 1999 Dodge Ram: Procedure to Replace Dash Indicator Lights? In Dash Indicator Lights Replacing For Dodge Ram 1500 Vehicle. 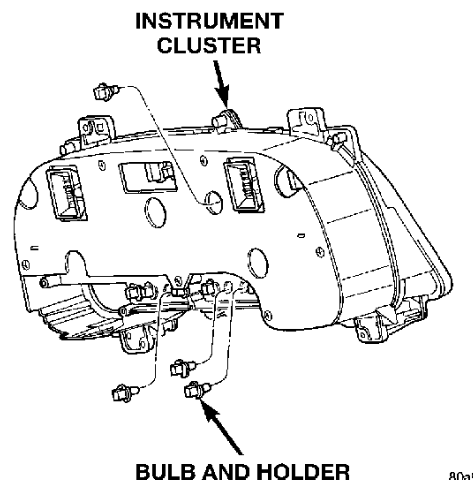 Please note in this procedure the cluster has to be removed to access the indicator light bulbs. Remove the cluster bezel from the instrument panel. Refer to Cluster Bezel in the Removal and Installation mentioned above for the procedures. If the vehicle is equipped with an automatic transmission, place the automatic transmission gear selector lever in the Park position. 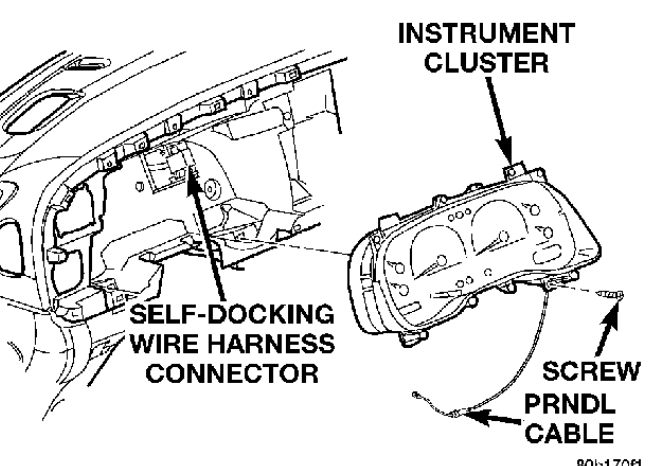 Pull the instrument cluster rearward far enough to disengage the two self-docking instrument panel wire harness connectors from the connector receptacles on the back of the cluster housing. If the vehicle is equipped with an automatic transmission, remove the gear selector indicator from the back of the cluster housing. Remove the instrument cluster from the instrument panel. Position the instrument cluster to the instrument panel. If the vehicle is equipped with an automatic transmission, install the gear selector indicator onto the back of the cluster housing. Align the instrument cluster with the cluster opening in the instrument panel and push the cluster firmly and evenly into place. The instrument panel has two self-docking wire harness connectors that will be automatically aligned with, and connected to the cluster connector receptacles when the cluster is installed in the instrument panel. Install the cluster bezel onto the instrument panel. Refer to Cluster Bezel in the Removal and Installation section of this group for the procedures. Remove the instrument cluster from the instrument panel. Refer to Instrument Cluster in the Removal and Installation section of this group for the procedures. Turn the bulb holder counterclockwise about sixty degrees on the cluster electronic circuit board. Pull the bulb and bulb holder unit straight back to remove it from the bulb mounting hole in the cluster electronic circuit board. see the Helpful diagram shown below. This details and diagrams will help. How to replace Instrument Cluster?